Figueroa Orthodontics is at the forefront of the latest orthodontic procedures, techniques, and treatments. Many advancements now give patients a straighter, healthier smile in a shorter amount of time with fewer visits to the office required. 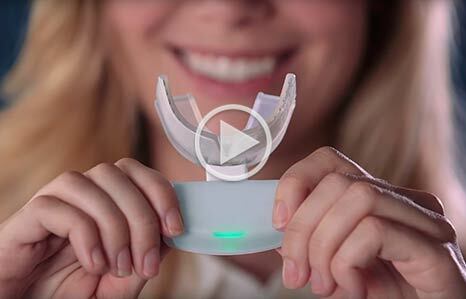 The AcceleDent Aura™ System is light, comfortable, hands-free and can be used 20 minutes per day while engaged in a variety of daily activities. The appliance, used daily for 20 minutes, applies patented technology to gently vibrate the teeth and surrounding bone. 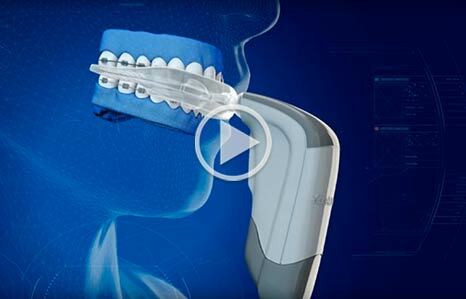 In a controlled clinical trial, the vibrations have proven to accelerate tooth movement by 38%-50%. The PROPEL System is an accelerated orthodontic treatment offered by Figueroa Orthodontics to reduce orthodontic treatment time. OrthoPulse® is an established device that uses low levels of light energy to stimulate the bone surrounding the roots of your teeth and facilitates tooth movement which may reduce treatment time for braces or clear aligners. Hands-free design allows you to go about your daily activities during the 10-minute treatment. OrthoPulse® facilitates tooth movement which can lead to a reduction of orthodontic treatment time, supported by solid clinical evidence. Current orthodontic mechanics optimize the process of tooth movement, and now OrthoPulse® will allow for the optimization of the biology of tooth movement. The smart science inside the device is based on a clinically proven and safe technology that has been used in medicine for over 60 years and is documented in over 3,300 published research articles.